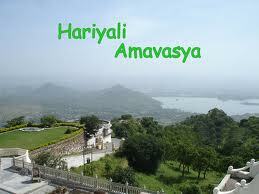 Today 6 August is Hariyali Amavasya. 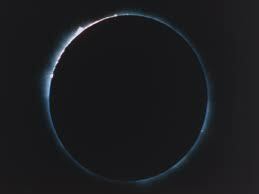 Hariyali Amavasya’ is a monsoon festival celebrated on Amavasya or a" No Moon Day" of the Shravan month in North India. People mainly worship Lord Shiva on this very day for wealth and prosperity and pray for a very good agricultural season. Hariyali Amavasya falls during Shravana month which corresponds to Ashadha Amavasya in Andhra Pradesh, Goa, Maharashtra, Karnataka, Gujarat and Tamil Nadu where Amavasyant Lunar Calendar is followed. Hariyali Amavasya is also known as Haryali Amavas and Hariyali Amas in Gujarat. Rare is a city so united. So in tune with its environs which can compete the beauty of any place in the world and surrounded by the Aravallis in the heart of Mewar, on the banks of Fateh Sagar, a beautiful unification of cultures is celebrated in the form of festival known asHariyali Amavasya, (the moonless night of the Shravan month), which marks the beginning of the monsoons and greenery, Hariyali Amavasya or Haryali Amavas is the Amavasya (No Moon day) during Shrawan Maas as per North Indian calendars. Hariyali Amavasya marks the beginning of monsoon and the greenery. 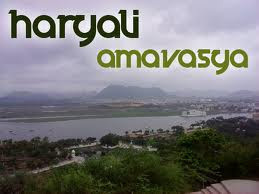 Hariyali Amavasya in 2012 is coming on today is celebration in Udaipur with a charm unmatched. The uncontrolled excitement of the aboriginals, the Ferris Wheels (Dolars), Pirate Ship, Bike in death well, roller coaster, shopping and enjoying with all varieties of sweet meats, snacks and eatables give it an unmatched attraction. If you want to add some colors and festivity to your life then a visit to the festival is must for you . The cheering mood of the natives, their vibrant dress colors and ancestral customs are bound to make your heart swing and make your legs move in rhythm. Even though Hariyali Amavasya Fair is celebrated by both men and women but it is mainly a festival for ladies,when they pray for prosperity for all the family. As per historic records, this fair started in the reign of Maharana Fateh Singh who was the architect of Fateh Sagar. The lake came into existence when Fateh Singh on his way noticed that a lot of water is being wasted near Dewali pond. He decided to convert the same into a big reservoir to fulfill the water needs of the citizens. Initially the reservoir was called Shiv Sagar and the dam was named after the Duke of Cannaunght, which was later, renamed Fateh Sagar.To celebrate the achievement, a moonless night of the rainy season was chosen and since then this day is celebrated as a fair day in Udaipur near Saheliyon ki Bari. This fair is celebrated for two consecutive days in which one day is dedicated to women only while the other day entire family can enjoy. On the day which is reserved for the ladies, males are not allowed at all which makes it a unique fair in entire India. The Udaipur Municiaple Council drew in a revenue of Rs. 3.17 Lakhs from the auction of the stall spots at Fateh Sagar and Saheliyon ki Bari. All of the 238 stall spots were successfully sold at Saheliyon ki Bari while the UMC was unable to sell 60 stall spots, out of 237, at Fateh Sagar. At this juncture, the West Zone Cultural Center has announced to organize a two-day cultural event. It will be held on 19th July at Moti Magri and on 20th July at Saheliyon ki Bari. The Narayan Seva Sansthan has promised the management of water at the Hariyali Amavasya Fair. Five teams have also been constituted to collect an amount of Rs. 50 to Rs. 100 from temporary vendors in the Fair. The teams will cover the area from fathpura Police Station to Saheliyon ki Bari’s entrance, from UIT Bridge to the office of the Divisional Commissioner and from Hitawala complex to Sukhadia circle. A Set Of Wings By God.